It's the most wonderful time of the year...but it can get a little stressful too! Shopping for and wrapping all the gifts, falling snow and temps, making Christmas cookies, getting your house cleaned and ready for all of the family festivities...and the list goes on! 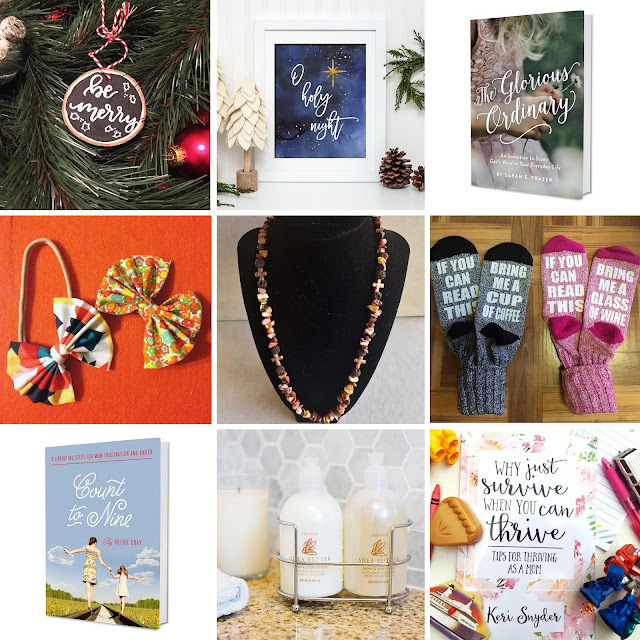 So I've teamed up with 8 other authors and artisans to bring you a little joy this Christmas! 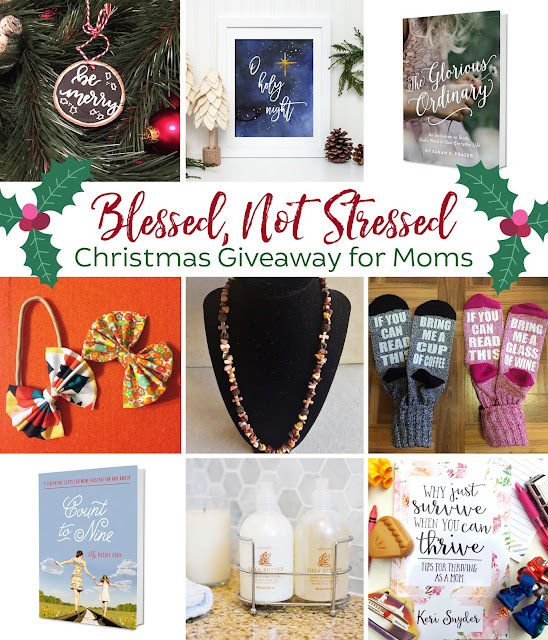 We're excited to host this giveaway to bless one lucky Mama and relieve a little bit of her stress this holiday season! 2 Christmas decorations to beautify your home this holiday season! In case you missed the original post, you can view the prizes and shops up close here. Then, go and enter the giveaway below! It ends December 7th so don't wait! The fine print: This giveaway will run from Thursday, December 1st through Wednesday, December 7th at 11.59pm and is for U.S. residents only. The winner will be verified. Shipping is not guaranteed by Christmas, although more than likely the winner will receive it by then! I pray you have a blessed Advent and Christmas season! *Arbonne is a botanically based health and wellness company dedicated to providing products that are pure, safe, and beneficial. Christina Nicholson is an Arbonne Independent Consultant. Waltzing in Beauty is her personal blog and is not affiliated with Arbonne International. 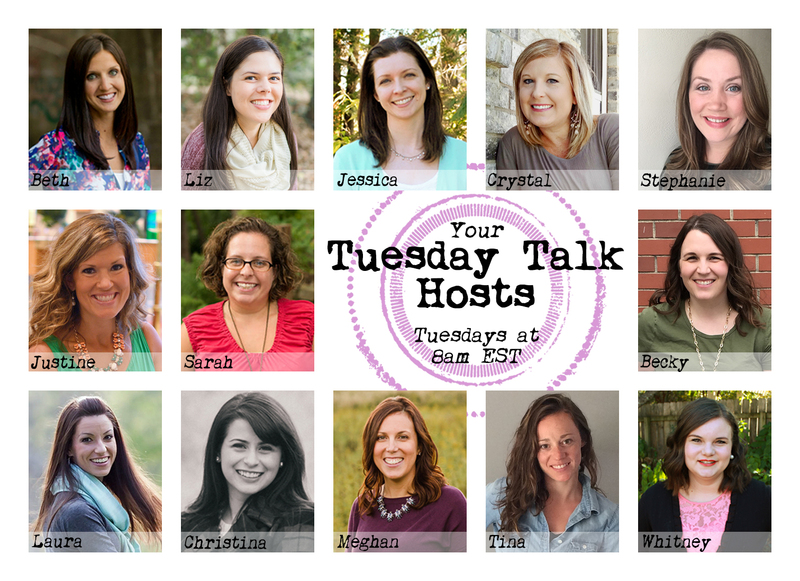 Welcome to Tuesday Talk #101!